Having a healthy population of gut bacteria is one of the most important steps you can take to improve your health! Many people think that this is very complicated but in fact, as in many things, it begins with simple steps. With this in mind, I would like to share some simple steps and concepts that can easily be implemented in your daily life. This theme will be repeated from time to time in future blog posts as I cover other aspects of being a good host. Why it is important: The importance of managing stress levels cannot be overstated when looking at symbiont bacterial health. The largest colony of bacteria live in the intestines (“the gut”) and are responsible for developing and maintaining brain function, immune function, hormonal balance and emotional health. Your state of mind, or stress level, regulates the environment this vital colony lives in. The bacterial colony influences the mind as well! Human beings, like all other creatures, are not single organisms but a host + symbiont organisms, or a “holobiont.” Since the bacteria outnumber human cells 10:1 and their genetic count is 150-400 times our human genes, they can be looked at as an additional organ almost, and normal physical or mental function is impossible without symbionts. More about that in an upcoming post! How it works: The intestinal tract is a variable environment and is controlled by your autonomic nervous system. When you are relaxed, kicked back and not stressed your autonomic nervous system becomes Parasympathetic dominant. This mode of function results in dilated blood vessels, lower blood pressure, improved gut movement and digestion. These changes make conditions optimal for beneficial gut bacteria! When you are stressed out, tense, shallow breathing and poorly rested your system become sympathetically dominant. This is the “fight or flight” mode, and results in blood vessel constriction, reduced circulation, higher blood pressure, and reduced intestinal activity. This set of conditions is very bad for the good gut bacteria, and instead favors the growth of non-beneficial populations that cause disease and dysfunction. 1. Autonomic imbalance has become a widespread issue in our society as electronics invade every moment of our life that previously provided a moment of mental refuge. Choosing some period of each day to be “electronic free” can be very relaxing. Perhaps at meal time, while in the bathroom, walking the dog or some other daily task or time-leave the mobile phone turned completely off and learn to be “in the moment” and not constantly redirected by the brain prosthesis known as the cell phone! 2. Choose an activity such as yoga that can be instrumental in learning to control your autonomic nervous system. Yes, traditionally it is taught that we do not control the autonomics, but in reality that isn’t true. All doctors would agree that being stressed raises blood pressure, right? It does so because the stressed state of mind activates the fight-or-flight sympathetic system. If a person thinks angry thoughts for a few minutes, blood pressure goes up, he may become red in the face and heart rate will elevate. This is the mind controlling the autonomics. If it works that way, it must also work the other way-relaxing activates the parasympathetic! Most communities offer at least one yoga program and it is not an expensive activity. Breathing exercises, meditation and stress reduction are central to Yoga practice and this provides a way to learn. 3. Begin to re-evaluate your outlook on daily events and life in general. It could be said that the only difference between an ordeal and an adventure is attitude or outlook. It is very easy to let the things that went “wrong” color our emotional responses to events that are neutral or even good! This is a result of re-living, mentally replaying, events in the past that are perceived to have had a negative outcome. In reality, this is destructive as it prevents us from having present time consciousness, enjoying good things currently happening, or focusing on “what’s next.” We cannot change the past-the only things we can change are how it affects us and what we do in the present. Mentally re-living past stresses also continues to keep the sympathetic system dominant, further altering gut bacterial populations. This alteration to a less beneficial population of symbionts can also affect brain function and make us more stressed, anxious or depressed! And so the cycle of stress can be perpetuated if permitted to do so. 4. Breathing exercises can be very helpful in learning to improve autonomic balance, gut function and symbiont health. This can be yoga breathing exercises or playing wind instruments. My favorite for breathing exercises is the didgeridoo, in part because of the extreme breathing exercises used to play it and also due to its rhythmic, hypnotic and relaxing sound. It can be used as a meditational tool in itself. They are very inexpensive and learning a basic technique is easy! 5. Sometimes there is nothing better than a good soak in a hot bath or hot tub! The bubbles are soothing, the jets massage tight muscles, and the heat helps to stimulate the parasympathetics. It is an old-time stress remedy that still works well! 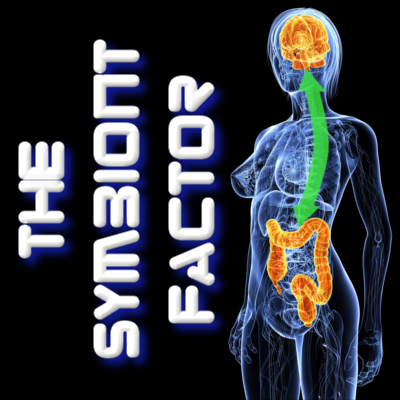 Learning to undo the effects of stress and to balance your autonomic function can help you improve your gut function, digestion and symbiont health. This can be a life-altering addition to your preventive healthcare! This entry was posted in Uncategorized and tagged autonomic, bacteria, blood pressure, constipation, didge, didgeridoo, digestion, genetics, gut bacteria, holobiont, hologenome, IBS, irritable bowel syndrome, lifestyle, meditation, parasympathetic, probiotic, stress, stress reduction, symbiont, symbiosis, symbiotic, sympathetic, yoga on April 24, 2014 by Dr. Richard Matthews.